See guest artist Christa Westbrook during a live, narrated demonstration in the Amphitheater Hot Shop on August 2 from 6 to 8 pm. Westbrook discovered the thrill of working with hot molten glass at the age of 16 in Liberal, Kansas. In 2012, she graduated with a BFA from Emporia State University, where she studied glass under Patrick Martin and Roberta Eichenberg, as well as many guest glass artists who visited the campus. After graduating, Westbrook moved to Corning, New York, and started working at The Studio of The Corning Museum of Glass as a Studio Assistant. In her role as a Studio Assistant, she helps educate our guests and our community with many outreach programs, such as Veterans Day Glassblowing, Beads of Courage, and area public school programs. She teaches classes both in flameworking and in furnace glassblowing. Westbrook is currently collaborating with other glass artists and designers to create a unique body of work in addition to producing her own line of functional glass. 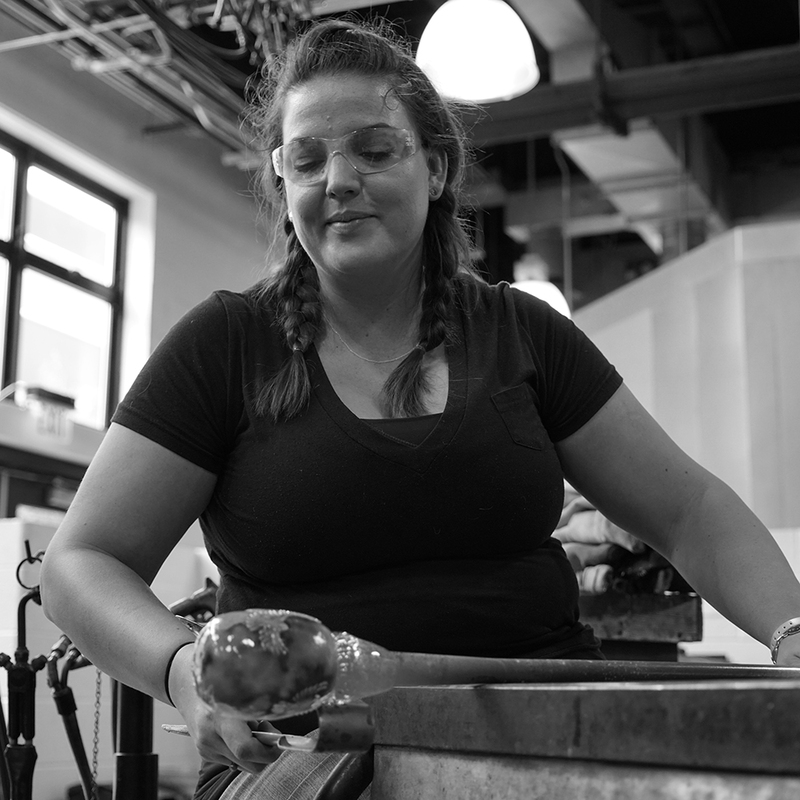 Christa Westbrook was fortunate to discover the thrill of working with hot molten glass at the age of 16 in Liberal, Kansas. In 2012, she graduated with a BFA from Emporia State University, where she studied glass under Patrick Martin and Roberta Eichenberg, as well as many guest glass artists who visited the campus.